Stacey reports for Inside Edition in an interview with the very brave #ThomasGunderson. 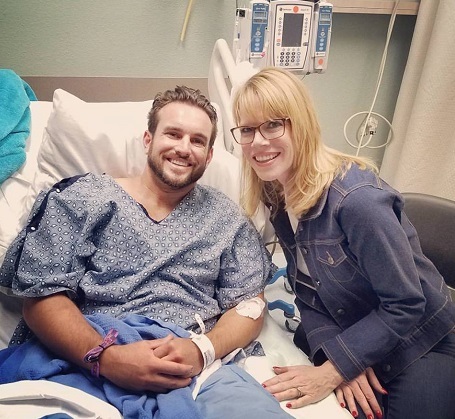 He was attending the Route 91 Harvest Festival in Las Vegas Sunday night when he was shot in the leg. His instinct was to run towards the gunfire to try to stop the shooter. He describes the ordeal in terrifying detail and praises the many people of every shape, size and color came together to help one another. He says he’s alive because of the selfless act of two off duty female police officers. He hopes to thank them in person some day. #prayforvegas#insideedition — at UMC Trauma Center.